During the Second World War, the Allied Forces utilized Indigenous language speakers to transmit coded messages that could not be broken. 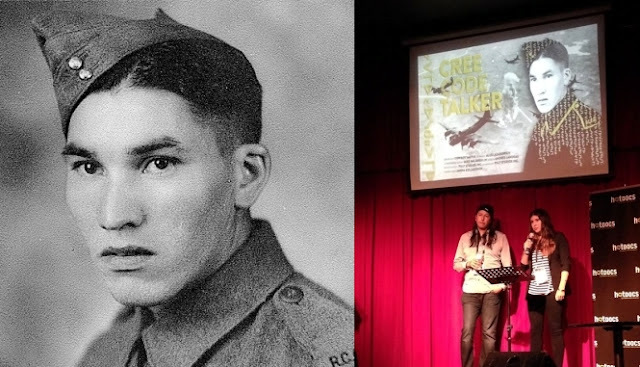 The contributions of Charles “Checker” Tomkins are revealed in this insightful look into how the Cree language was used as a vital secret weapon in combat. Digging deep into the United States archives, the film depicts the true story of Tomkins’ involvement with the US Air Force and the development of the code talkers communication system as the Cree language was used as a vital secret weapon in combat. Tomkins was one of five Cree code talkers from northern Alberta, although he had shared about his work before he died in 2002 as the last survivor. Several of Tomkins’ relatives and other local people were interviewed as the documenters visited the Grouard area in summer 2014. “The goal of the project is to honour Charles (Checker) Tomkins and the other Aboriginal veterans who went unrecognized for their entire lifetime for their heroic war effort,” Lazarowich says. “It’s an opportunity to honour the contributions of Aboriginal veterans in Second World War efforts and how instrumental Cree code talkers were in winning the war,” says Jessica Richardson, teacher of Aboriginal studies at St. Andrew’s. Responses to "Cree code talker to be remembered in award winning short movie"